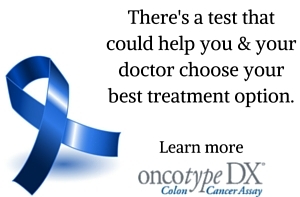 Will All Colon Cancer Patients Need Chemotherapy? Will Salt Increase Cancer Risk? How Does Eating Fruits and Vegetables Affect My Cancer Risk? What Are My Rights If I Participate in a Cancer Clinical Trial? What Are the Benefits of Participating in a Cancer Clinical Trial? How Can I Get Involved in Colon Cancer Advocacy? Overview: What is Colorectal Surgery? Will My Bowel Habits Change After Colon Cancer Surgery? How Long Will I Have to Stay in the Hospital After Colon Cancer Surgery? Suggest a topic for our colon cancer experts to discuss in an upcoming video.